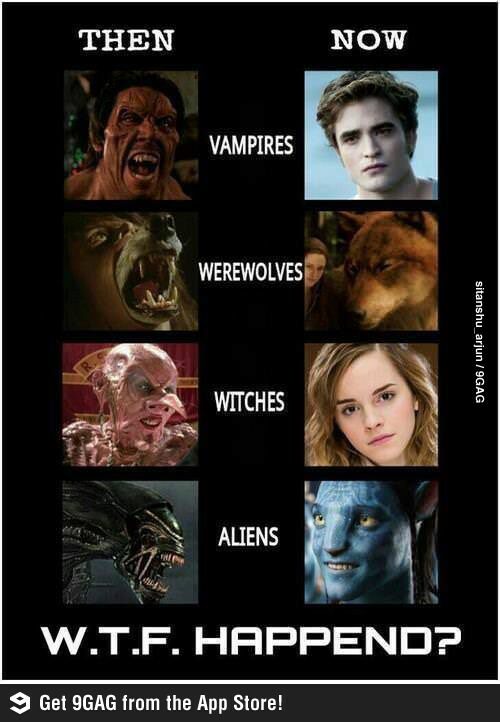 Vampires, Werewolves, Witches and Aliens….What Happened? This entry was posted in Movies, Pop Culture and tagged aliens, Avatar, Harry Potter, Twilight, Vampires, werewolves, witches. Bookmark the permalink. 3 Responses to Vampires, Werewolves, Witches and Aliens….What Happened? hahahahahaha… I guess that is ONE explanation…..